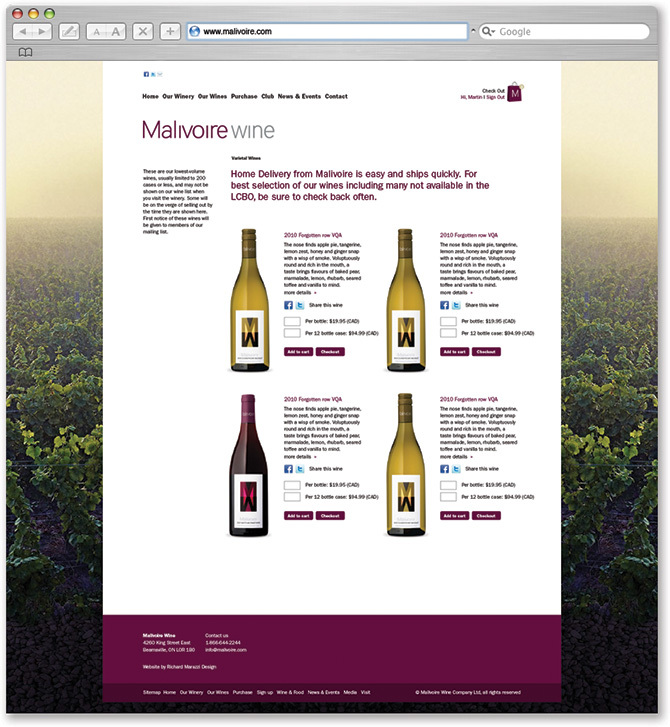 Malivoire came to us looking for a website refresh and re-think. One of the requirements was that they would be able to access the website to make changes and updates on their own. 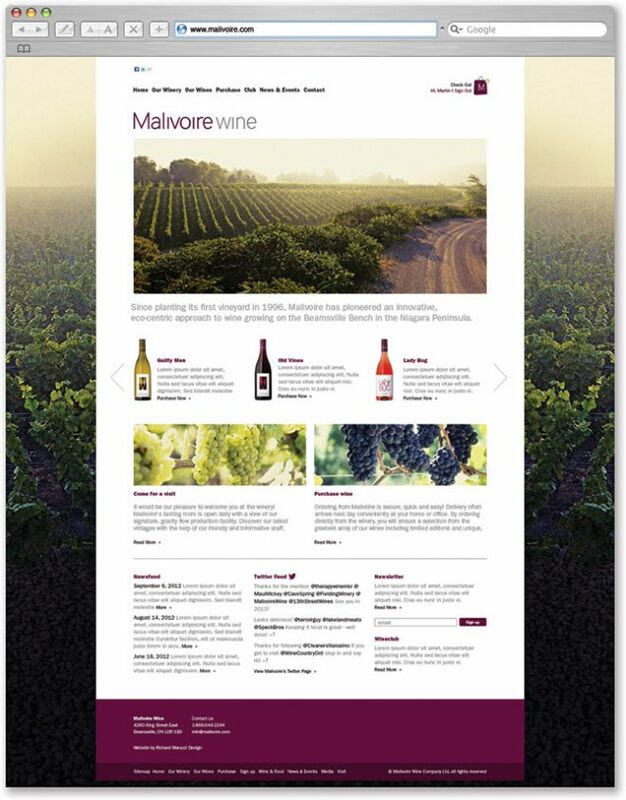 They also needed an e-commerce solution to help them sell their wines on-line. We developed a CMS (Content Management System) website. On the WordPress platform: This is a web platform that allows publishing, editing, and modifying content as well as site maintenance from a back-end interface by the client after implementation is complete. 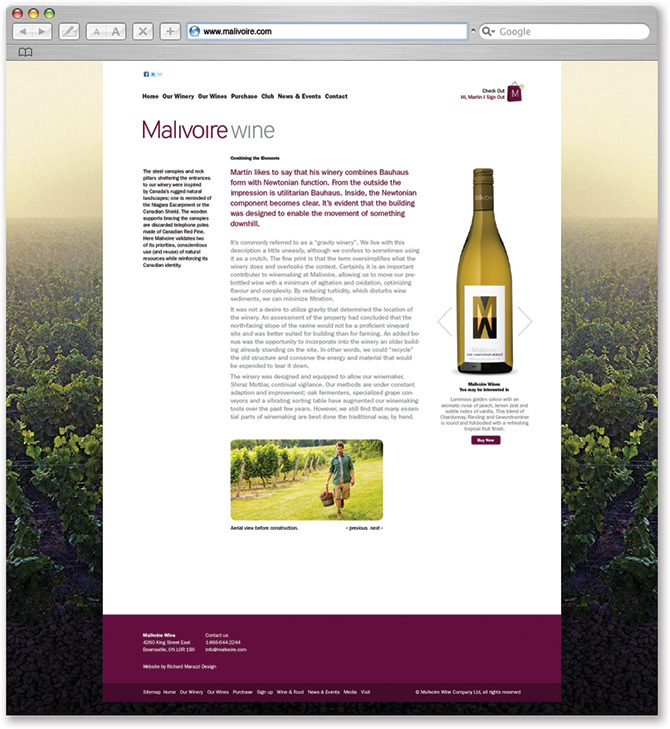 We also ran a successful advertising campaign in the local weekly Now Magazine for several of their varietals. Credits: Stefano Ginella: Website Code.